"Less is more" is a mantra we are adopting as we simplify our wardrobes to mostly high quality and versatile pieces. This can make mixing and matching garments for outfits a simpler process, removing some of that daily "but what will I WEAR?!" stress. It's a strategy that many call building a "capsule wardrobe". A wardrobe that is small but mighty! 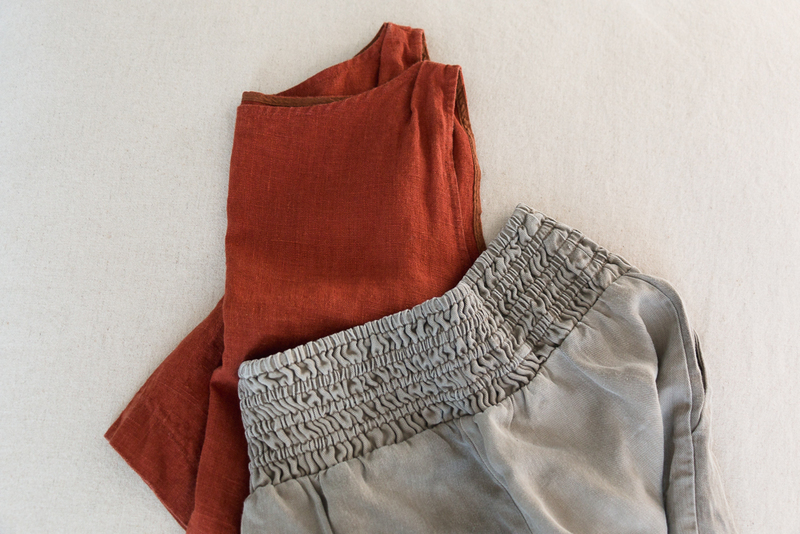 Thoughtfully gathering these types of pieces is also helpful when it comes to travel. 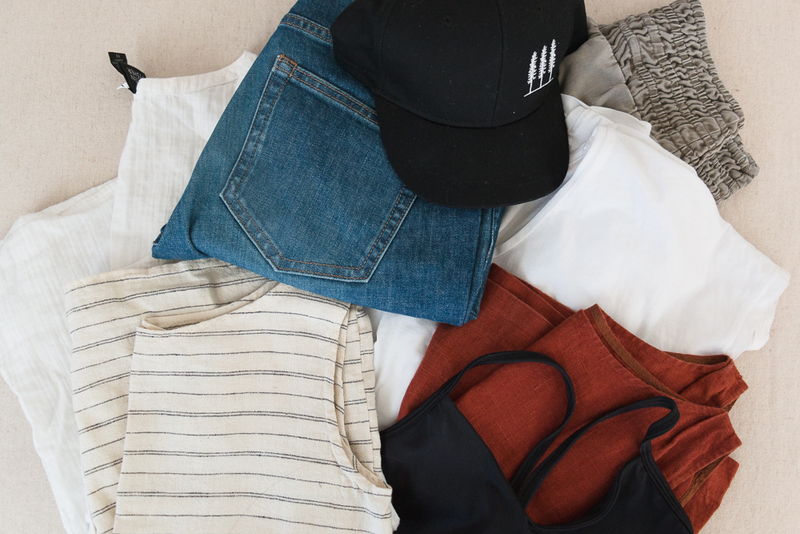 Below is Teagan's travel capsule wardrobe packing list for 10 days in Oahu, Hawaii! We'll include the brand names on items from ethical labels, the rest of the items are either old or thrifted. Let's be real, going from Calgary winter to hot Hawaiian humidity is going to throw off your travel capsule wardrobe game because you're not likely to wear that bulky sweater and cozy scarf in Hawaii. Regardless of what weather you are leaving from, wearing your bulkiest items on the plane helps to maximize carry on space. Carry on bag from Mother Co.
Fitting all your toiletries into a carry on bag may be the most difficult piece of the carry on puzzle! Pack liquid toiletries in a medium sized Ziploc bag to breeze through airport security. Now that paying a fee for checked baggage is a widespread thing (ugh!!! ), becoming slick at packing a carry on is a stress and money saver. 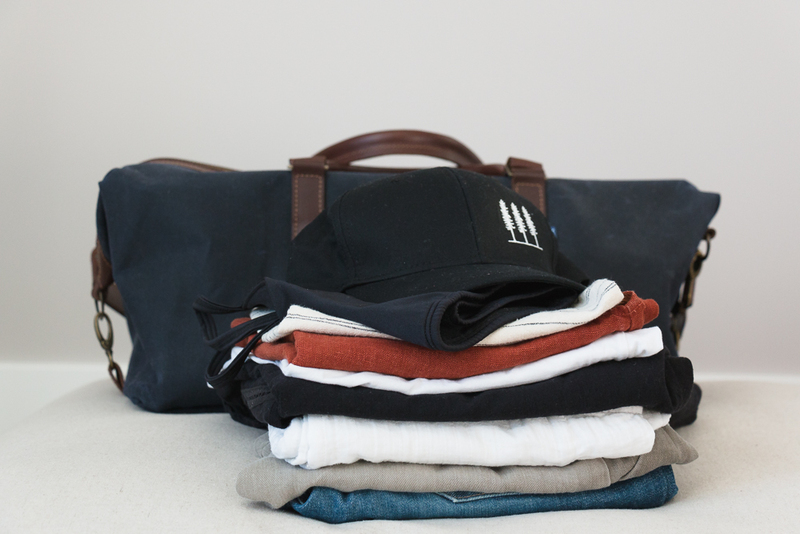 An unexpected consequence of working on simplifying our wardrobes for day to day life is that it also makes packing for trips much simpler too! What are your carry on packing tips? We'd love to hear your thoughts below! P.S. Some of the links in this post are "affiliate links". This means that if you end up buying something from one of these links, we will receive a small percentage from that sale. 100% of the proceeds we receive support the costs of maintenance and growth for mynewneighbour.ca!